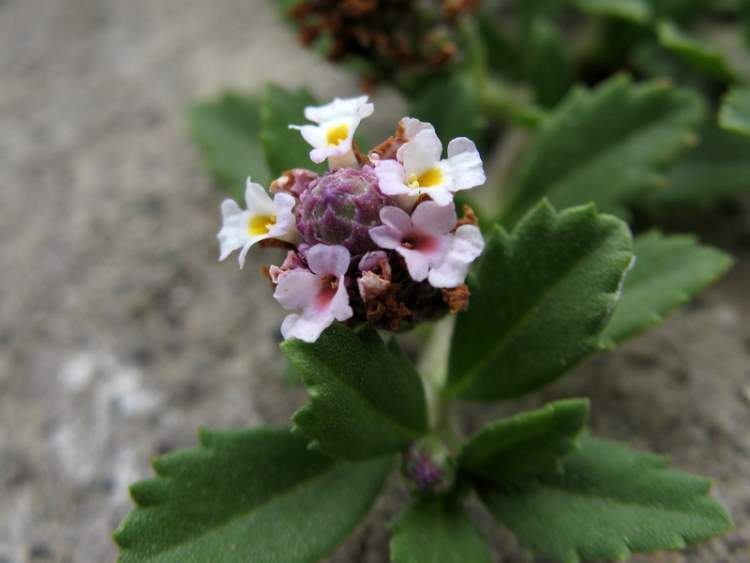 - Blairia nodiflora (L.) Gaertn. 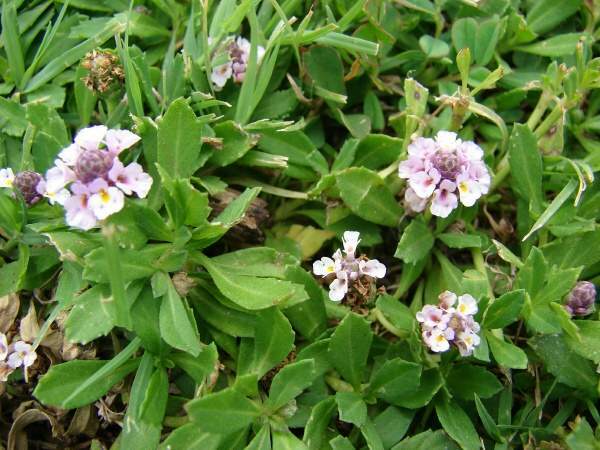 - Diototheca repens (Bertol.) Raf. - Lantana repens Larrañaga, nom. illeg. - Lantana repens Sessé & Moc. 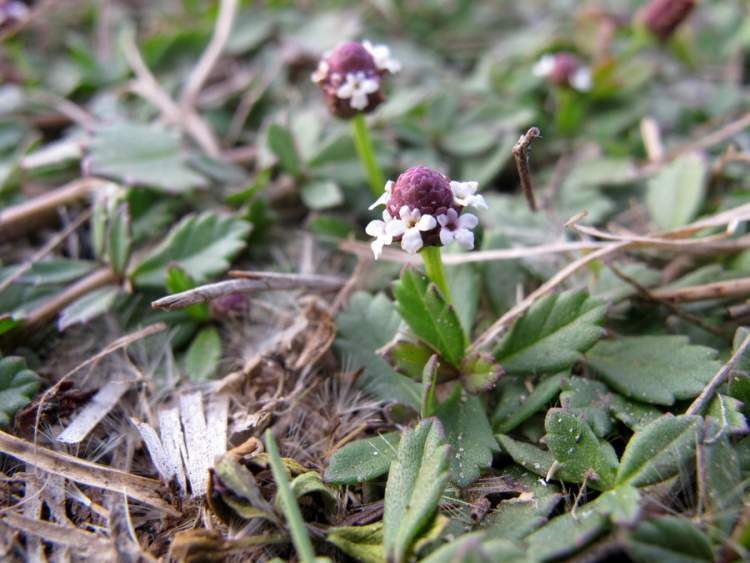 - Lippia incisa (Small) Tidestr. - Lippia nodiflora (L.) Michx. - Lippia nodiflora var. minor Gillies & Hook. 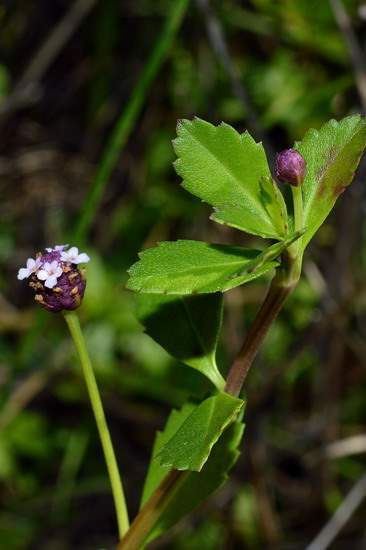 - Lippia repens (Bertol.) Spreng. 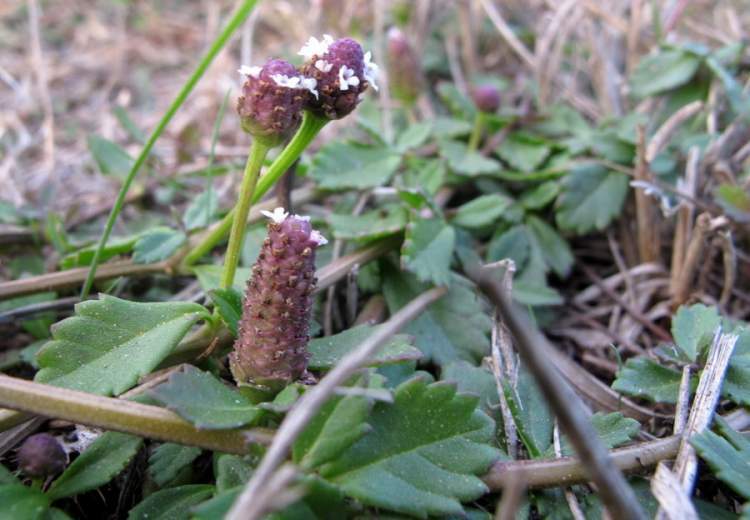 - Lippia sarmentosa (Willd.) Spreng. - Piarimula chinensis (Lour.) Raf. - Platonia nodiflora (L.) Raf. - Verbena cuneata Willd. ex Spreng. 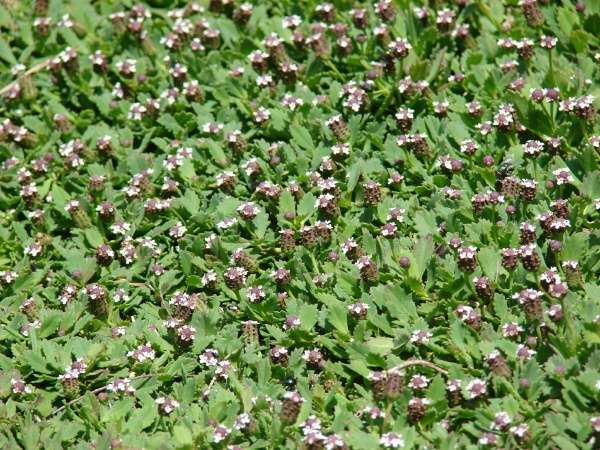 - Verbena elliptica Willd. ex Spreng. 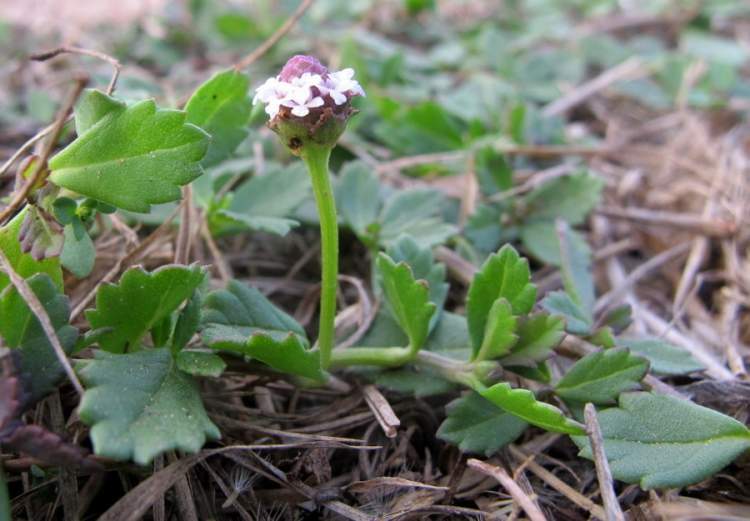 - Verbena globiflora Nocca ex Spreng. - Verbena lanata Willd. ex Walp. - Verbena repens Larrañaga, nom. illeg. 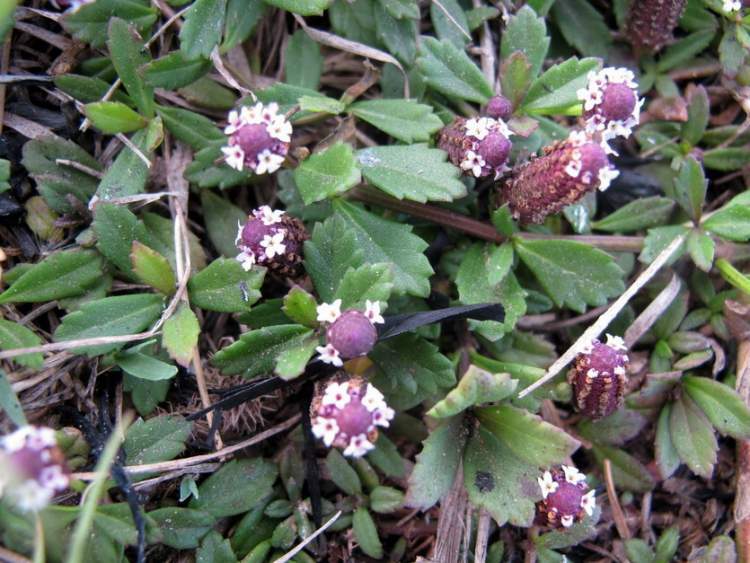 - Zappania nodiflora (L.) Lam. 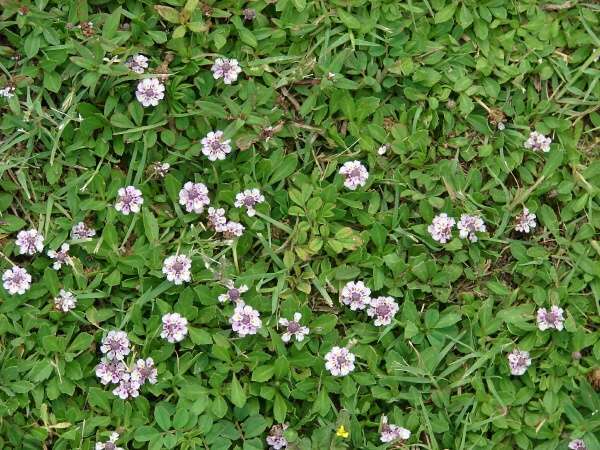 - Zappania repens (Bertol.) Bertol. Flowers at Runway overrun fields Sand Island, Midway Atoll - Credit: Forest and Kim Starr - Plants of Hawaii - Image licensed under a Creative Commons Attribution 3.0 License, permitting sharing and adaptation with attribution. Flowers at Kanaha Beach, Maui - Credit: Forest and Kim Starr - Plants of Hawaii - Image licensed under a Creative Commons Attribution 3.0 License, permitting sharing and adaptation with attribution. 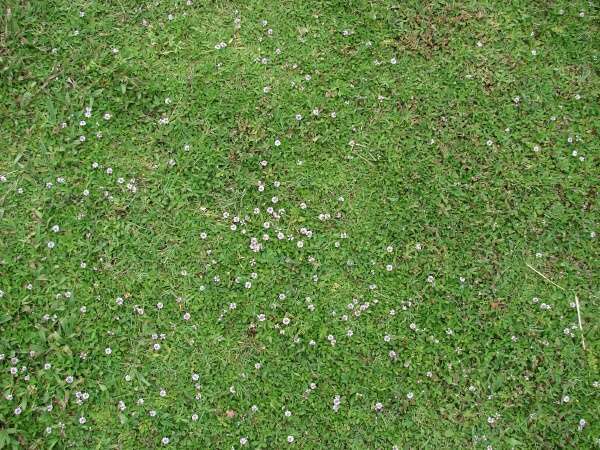 Flowering habit in lawn at Kanaha Beach, Maui - Credit: Forest and Kim Starr - Plants of Hawaii - Image licensed under a Creative Commons Attribution 3.0 License, permitting sharing and adaptation with attribution.